Behr paints can be found only in The Home Depot stores throughout the US, Canada, Mexico and China. The interior and exterior paints are water-based or oil-based. Behr also offers specialty paints and primers as well as several other types of finish products. Behr paints have zero VOCs, which make it a highly sought after paint product. VOCs are chemical gases that according to the Environmental Protection Agency can have "adverse health effects." The zero VOCs is an excellent choice for those with chemical sensitivity, breathing difficulties or for those people who are eco-conscious. One additional plus that Behr advertises is that consumers don't need to use a primer before applying the paint. Behr paints are designed to be what's known in the industry as self-primers. This means that it typically only requires one coat of paint in order to give full coverage on your walls. The zero VOCs and self-primer characteristics are very attractive selling points. Consumer Reports reviewed several of the leading paints and compared the products in various scientific and controlled tests. 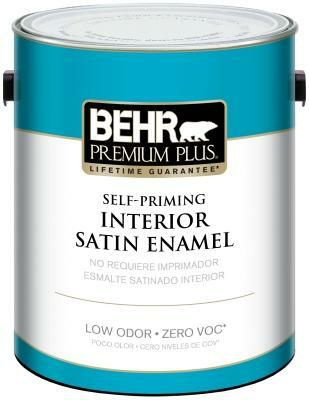 In the ratings for paint, Behr scored in the top five. In previous years, Behr ranked number one out of three categories. The most recent test results included a fairly new paint, Kensington & Clark, that's sold exclusively at ACE Hardware. Kensington & Clark took first place in many of the interior paint tests. Behr received the Best Value rating by Consumer Reports and took slots #2 and #4 for Flat and Matte interior paints. In 2012, Consumer Reports tested a total of 76 products for exterior stains, simulating extreme weather conditions. Behr was the top choice for exterior stains in the "solid and semitransparent categories." 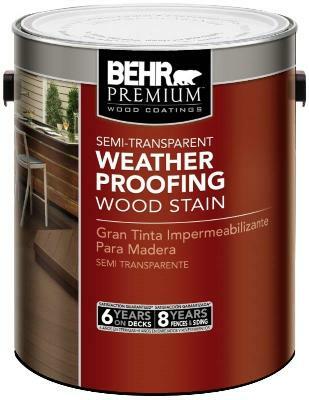 Like most companies, Behr has ratings and reviews featured for each product. Customers are free to share their experiences in using the products and also to rate each one. 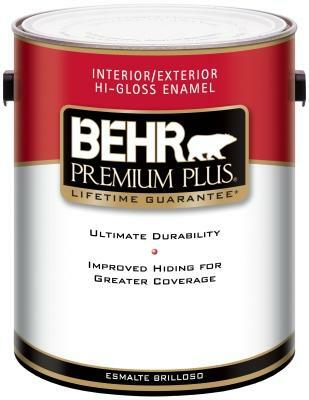 Premium Plus® Interior/Exterior Hi-Gloss Enamel ranks the highest with five bears (out of five) and Premium Plus® Interior Ceiling Paint the lowest with 3.1 bears. The other paints are rated around 4.75 bears. In 2010, Good Housekeeping gave Behr Premium Plus paint a B rating citing that it was stain resistant, but a fair quality for coverage. One Project Closer is a website that offers consumers step-by-step reporting on projects either by professionals or their own team of DIYers. In 2011, the team undertook a paint comparison of several brands including Behr. The final results for Behr stated that two or more coats may likely be required. View Points was founded in 2007 and has over 250,000 members who rate various products they use on a scale of 0 to 100. Behr paints have been reviewed by 26 consumers for a rating of 86. Contractor Talk is a forum for various reviews of products that contractors use. There are several threads that cover nearly seven years of Behr discussions that are mixed with those who are fans of Behr and those who prefer other manufacturers. If you're looking for a zero VOC and a self-primer, Behr has several types of paints to choose from. If you're more concerned about a paint that won't fade, then you might prefer a different paint since Consumer Reports gives a lower rating on fade resistance for Behr products. Be mindful that it's often a tradeoff as some colorants in non-fade paints have a higher VOC. Be sure to check the paint labels for the latest claims since paint companies are constantly adjusting and improving their paint formulas. What might be an issue of a particular paint a few months ago may no longer be true since the formula has since been corrected and improved.